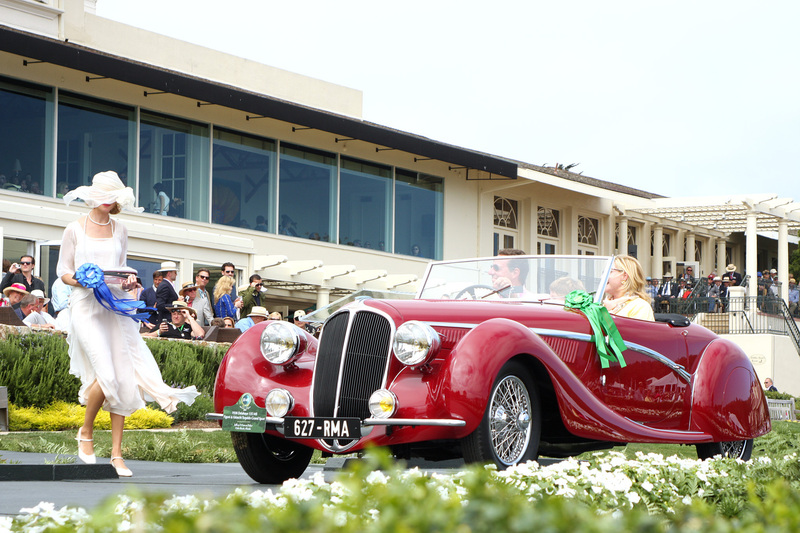 To see what Jon’s car was up against we have assembled all 26 first class winners which were judged to be the best of their breed by chief class judges and their teams. Class A : Antique – 1910 American Underslung Traveler Toy Tonneau William Johnston & Ronald Elenbaas (The Off Brothers Collection), Richland, Michigan Image by Richard Michael Owen. 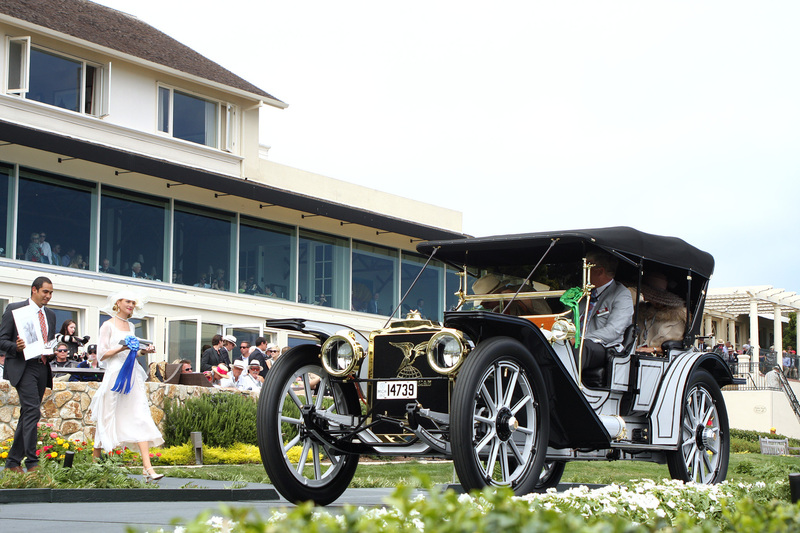 Class B : Early Steam Cars – 1905 White Model E Light Touring Body. Michael Ersland, Chickasha, Oklahoma Image by Richard Michael Owen. 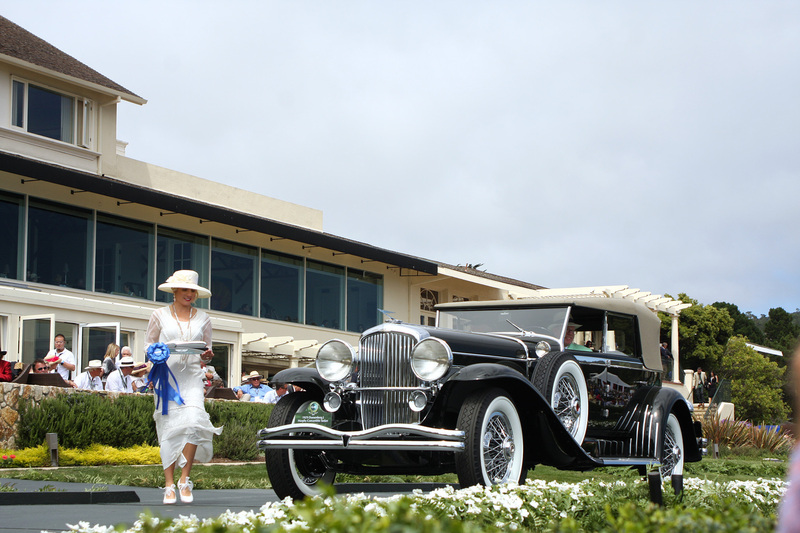 Class C-1 : American Classic Open Early – 1933 Chrysler CL Imperial Custom LeBaron Phaeton Joseph & Margie Cassini III, West Orange, New Jersey. Image by Richard Michael Owen. 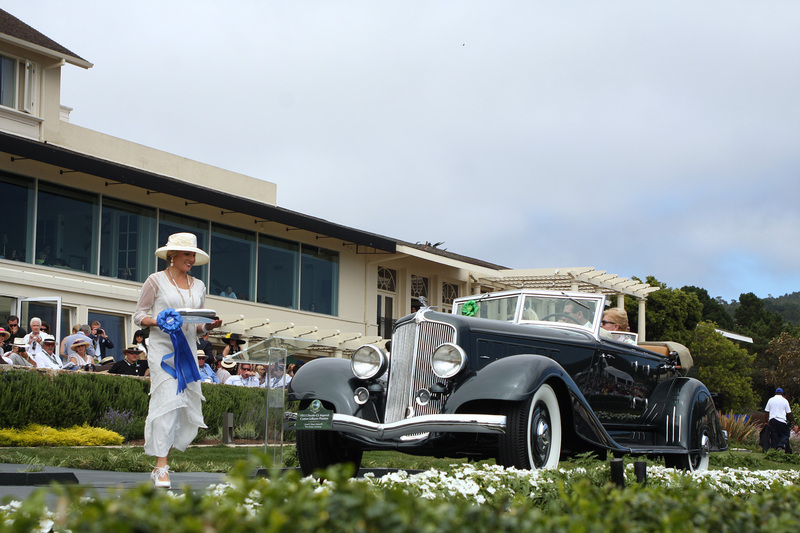 Class C-2 : American Classic Open Late – 1934 Packard 1108 Twelve Dietrich Convertible Victoria. Frank & Milli Ricciardelli, Sarasota, Florida Image by Richard Michael Owen. 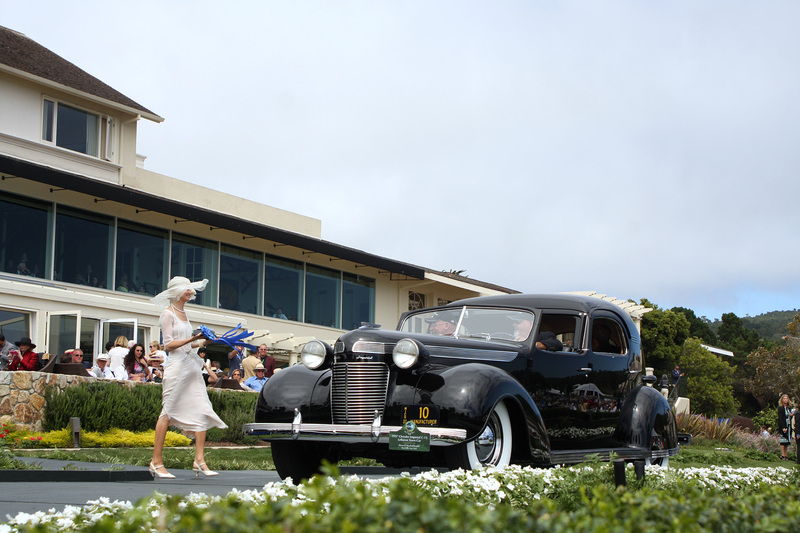 Class C-3 : American Classic Closed – 1937 Chrysler Imperial C-15 LeBaron Town Car. Howard & Rosalind Kroplick, East Hills, New York Image by Richard Michael Owen. 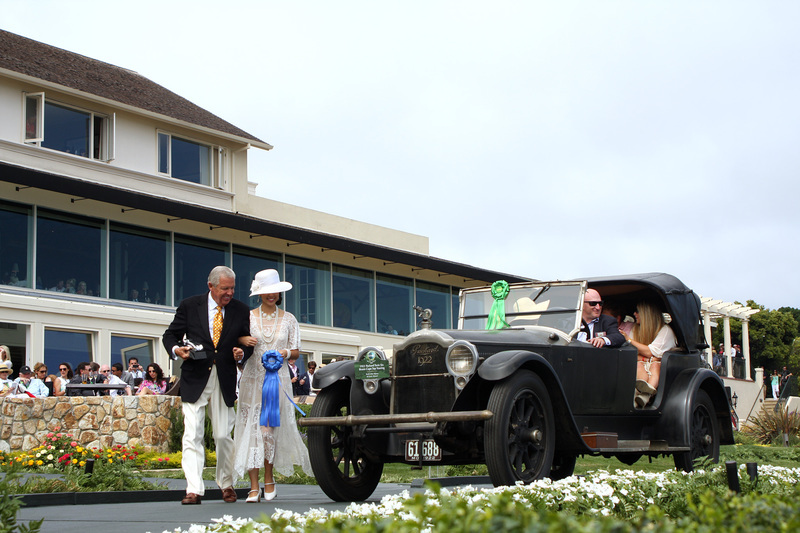 Class D : Ruxton – 1930 Ruxton C Baker-Raulang Roadster. Evelyn & Jim Fasnacht, Houston, Texas. Image by Richard Michael Owen. 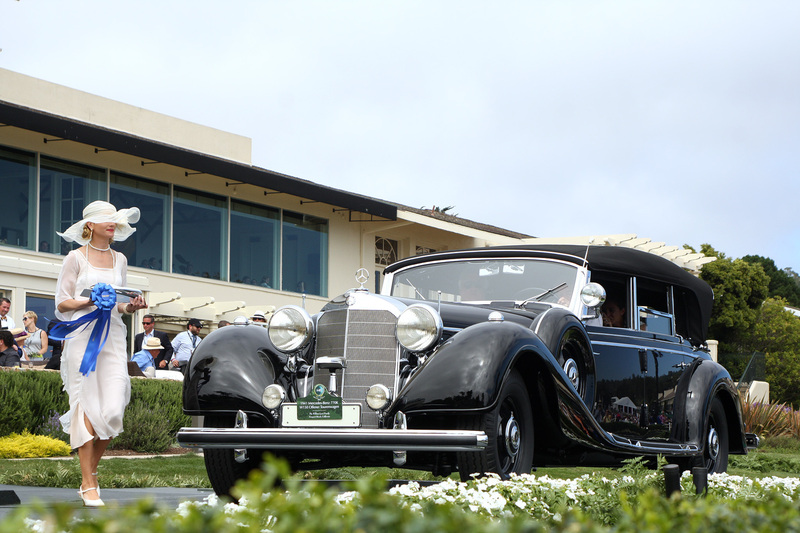 Class F : Fernandez et Darrin Coachwork – 1934 Hispano-Suiza J12 Fernandez et Darrin Coupé de Ville. Robert M. & Anne Brockinton Lee, Reno, Nevada. Image by Richard Michael Owen. 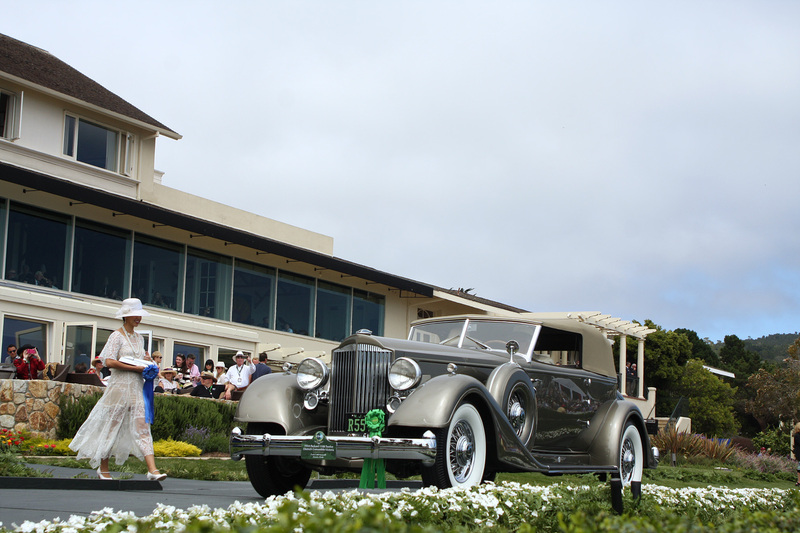 Class G – Duesenberg – 1929 Duesenberg J Murphy Convertible Sedan. John P. Shibles, Sea Girt, New Jersey Image by Richard Michael Owen. 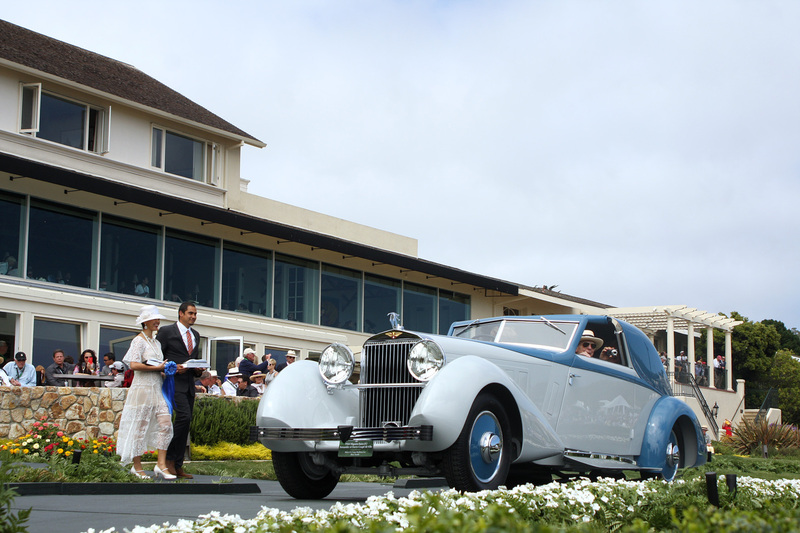 Class H-1 : Rolls-Royce – 1937 Rolls-Royce Phantom III Vanvooren Sports Cabriolet. Lord Bamford, Gloucestershire, England. Image by Richard Michael Owen. 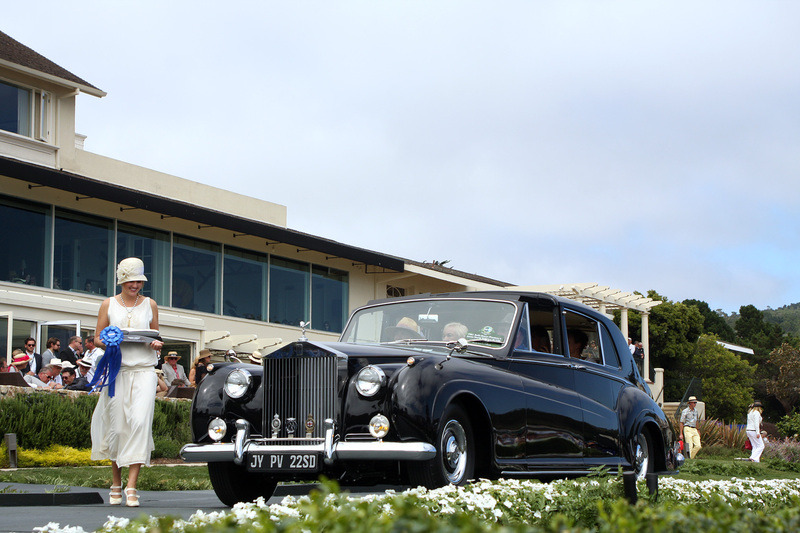 Class H-2 : Rolls-Royce Phantom Postwar – 1961 Rolls-Royce Phantom V James Young Sedanca de Ville. Ken & Ann Smith, Rancho Santa Fe, California. Image by Richard Michael Owen. 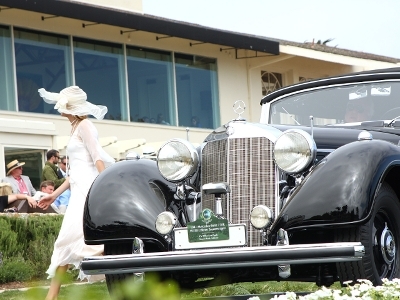 Class I – Mercedes-Benz Prewar – 1941 Mercedes-Benz 770K W150 Offener Tourenwagen. 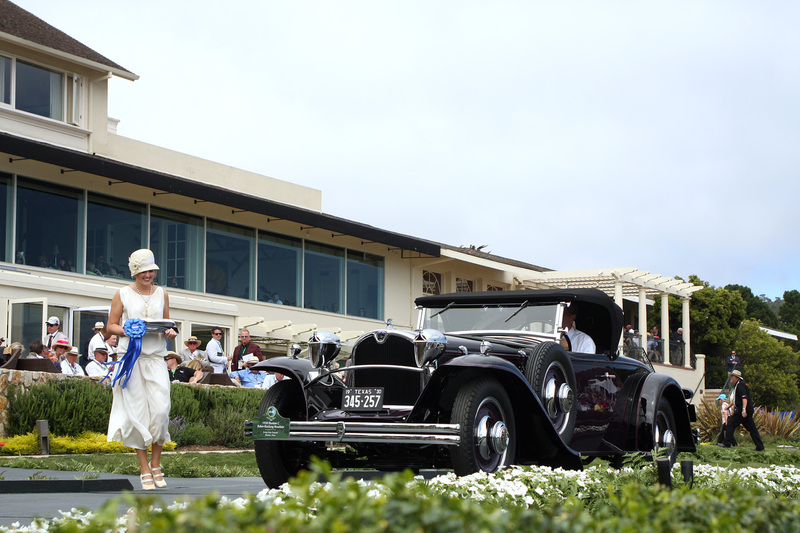 The William Lyon Family, Newport Beach, California. Image by Richard Michael Owen. 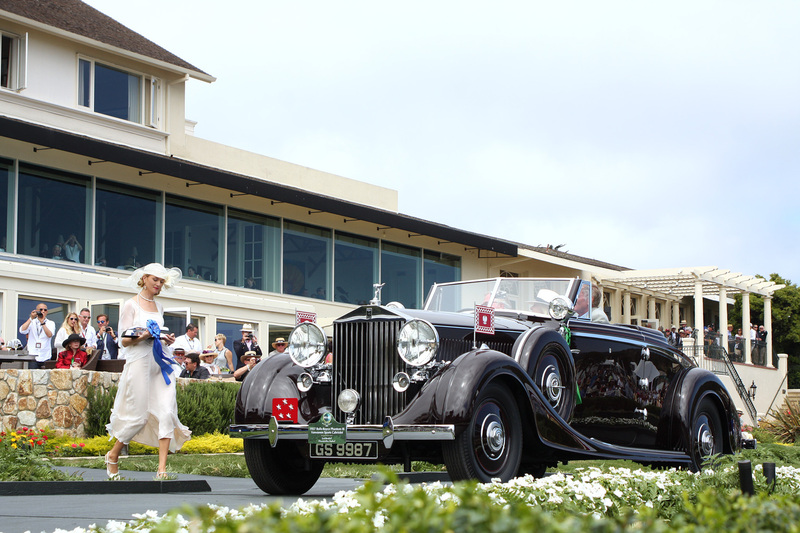 Class J-1 : European Classic Early – 1929 Bentley Speed Six Saoutchik Drophead Coupé. John & Gwen McCaw. Image by Richard Michael Owen. 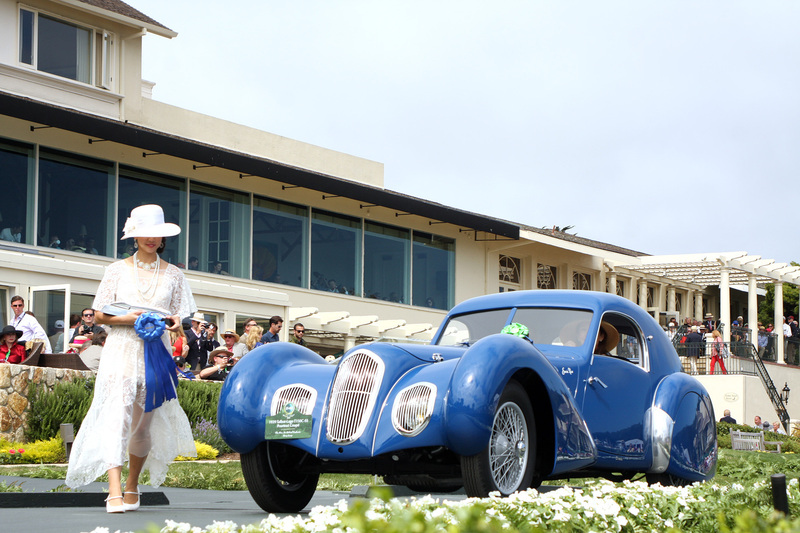 Class J-2 : European Classic Late Open – 1938 Delahaye 135 MS Figoni & Falaschi Torpédo Grand Sport. 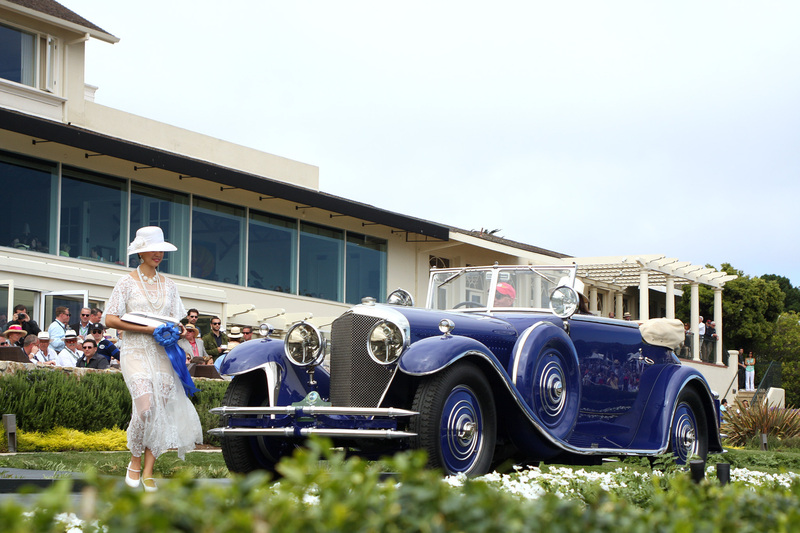 Jeffrey & Frances Fisher, Palm Beach, Florida. Image by Richard Michael Owen. 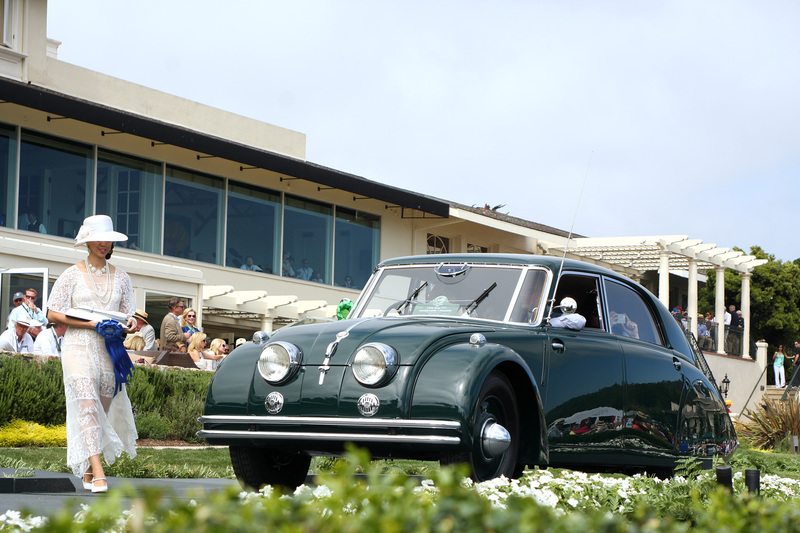 Class J-3 : European Classic Late Closed – 1939 Talbot-Lago T150C-SS Pourtout Coupé. The Hon. Sir Michael Kadoorie, Hong Kong. Image by Richard Michael Owen. 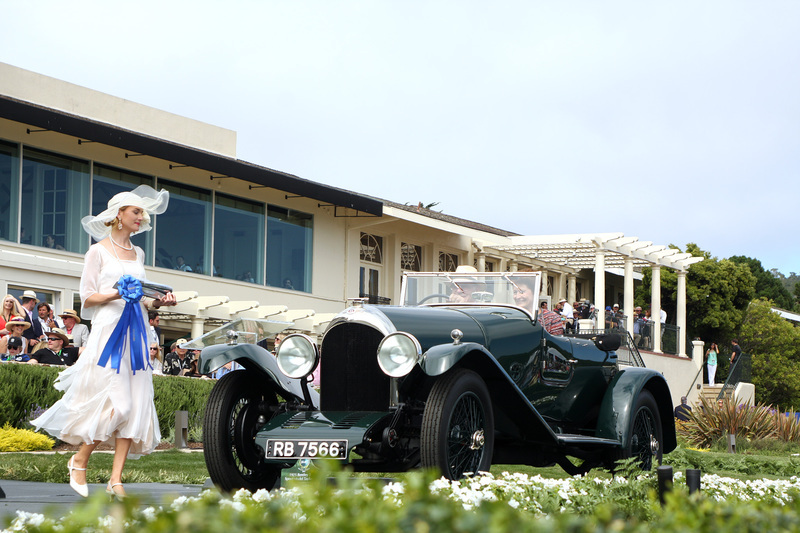 Class J-4 : Prewar Sports Racing – 1925 Bentley 3 Litre Speed Model Taylor Tourer. Stanley & Merle Bauer, Beverly Hills, California. Image by Richard Michael Owen. Class K : Streamlined Tatra – 1936 Tatra T77 Aerodynamic Limousine. Pavel Kasik, Prague, Czech Republic Image by Richard Michael Owen. 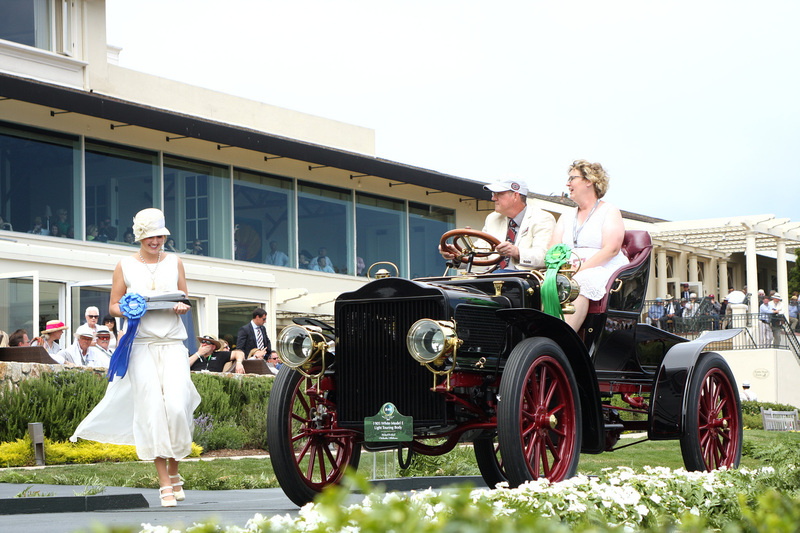 Class L-1: Prewar Preservation – 1922 Packard Twin Six Brunn Cape Top Touring. Mark & Kim Hyman, St. Louis, Missouri. Image by Richard Michael Owen. 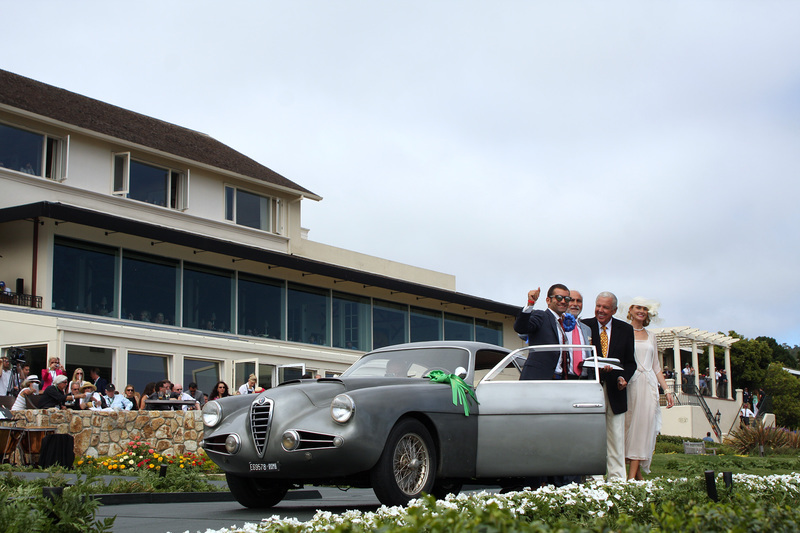 Class L-2: Postwar Preservation – 1954 Alfa Romeo 1900 SSZ Zagato Coupé. Corrado Lopresto, Milan, Italy. Image by Richard Michael Owen. 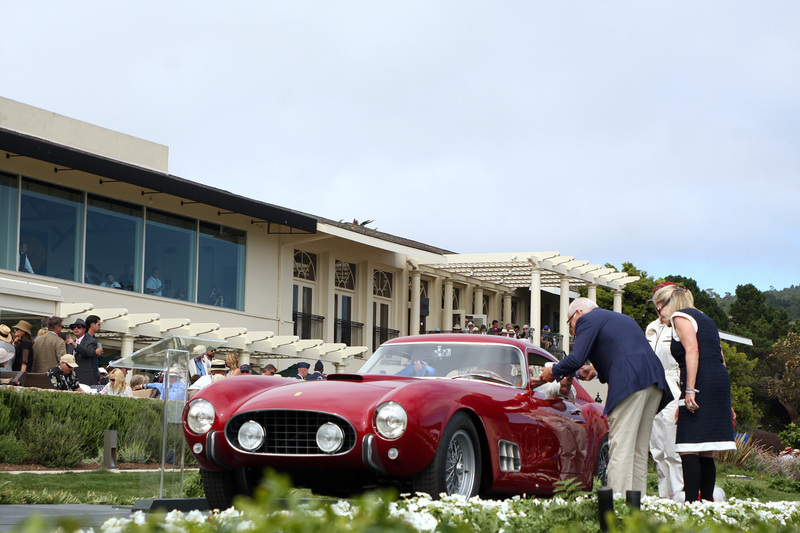 Class M-1: Ferrari Grand Touring – 1954 Ferrari 375 MM Scaglietti Coupe. Jon Shirley, Medina, Washington. Image by Richard Michael Owen. 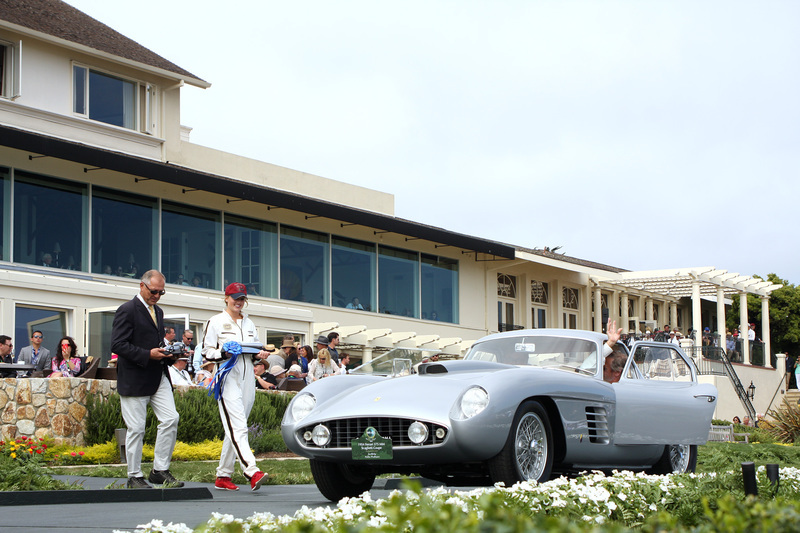 Class M-2 : Ferrari Competition – 1957 Ferrari 250 GT TDF Scaglietti 14 Louvre. Les Wexner, New Albany, Ohio. Image by Richard Michael Owen. 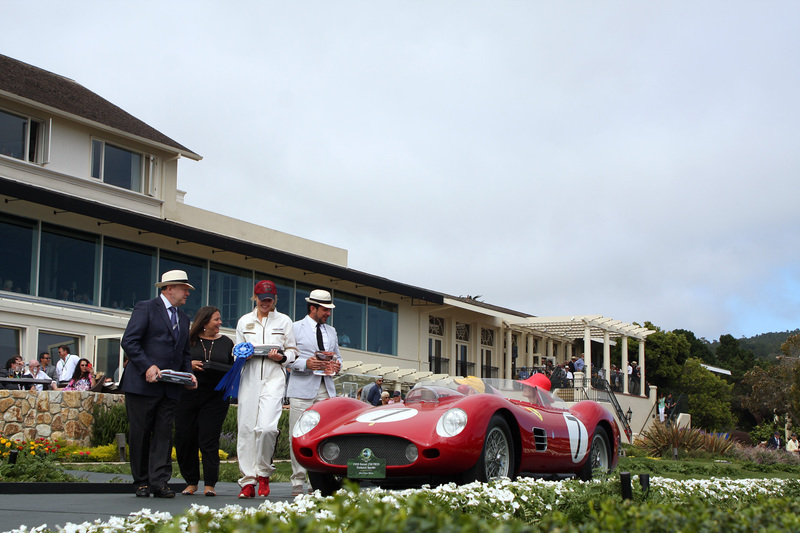 Class M-3: Ferrari 250 Testa Rossa – 1959 Ferrari 250 TR59 Fantuzzi Spyder. John & Gwen McCaw. Image by Richard Michael Owen. 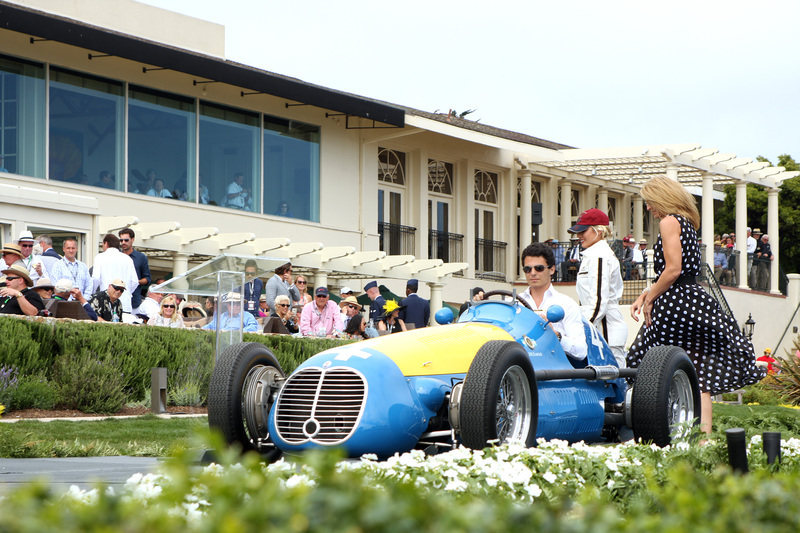 Class N-1: Maserati Racing – 1949 Maserati Tipo 4CLT/48 Monoposto. Daniel Sielecki, Acassuso, Argentina. Image by Richard Michael Owen. 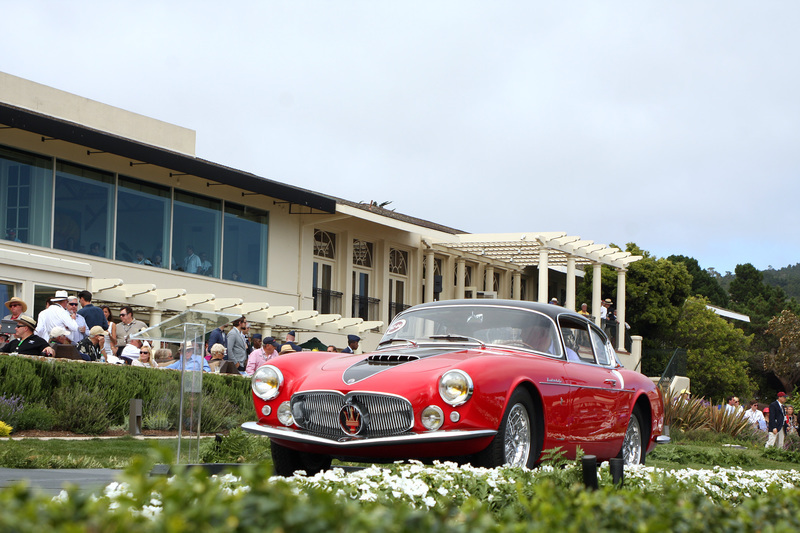 Class N-2 : Maserati Centennial Coachwork – 1956 Maserati A6G/54 Frua Coupé. Joe & Sharon Hayes, Chicago, Illinois. Image by Richard Michael Owen. 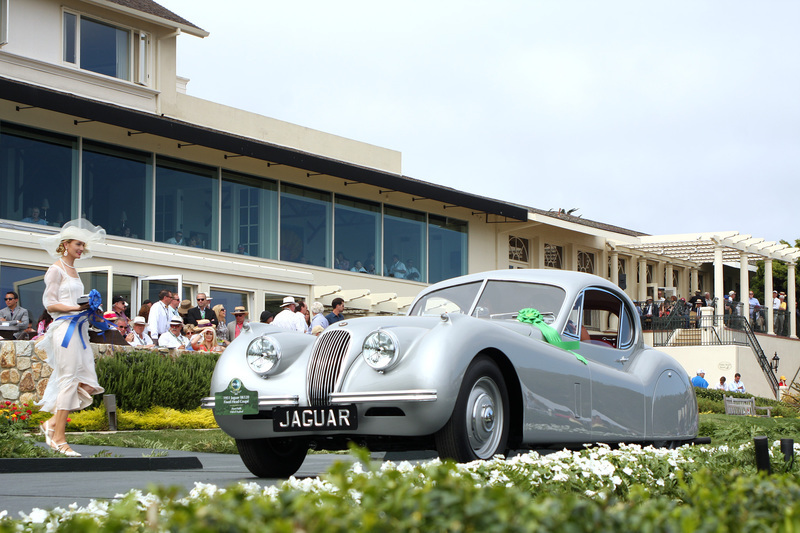 Class O-1 : Postwar Sports Touring – 1951 Jaguar XK120 Fixed Head Coupé Prototype. Stuart Dyble, Oxford, United Kingdom. Image by Richard Michael Owen. 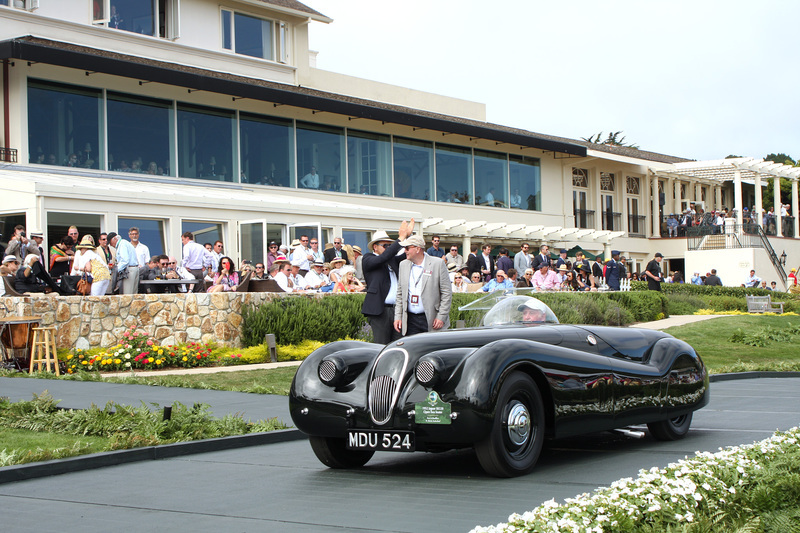 Class O-2 : Postwar Sports Racing – 1952 Jaguar XK120 Open Two Seater. Kurt A. Engelhorn, St. Moritz, Switzerland. Image by Richard Michael Owen.